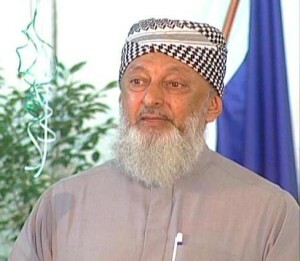 Sheikh Imran Nazar Hosein is undoubtedly one of the most quoted scholars of the modern times. Through his command on several languages and his eloquent speech, he enjoys a consistently engaged audience for hours on end. In an era when apocalyptic tales are more popular than ever, his specialization of the subject “End of times” has captivated a global audience of all casts and creeds. Born in the Caribbean Island of Trinidad, he completed his education in the West Indies, Pakistan and Switzerland. It is perhaps the vast vision that he got from his diverse education across continents that has provided him his global appeal. He has blown in a new spirit and revived the subject of Islamic eschatology. Although he was renowned for his bestselling book “Jerusalem in the Quran” but he rose to higher prominence through his sermons and lectures, that spread exponentially through the internet. 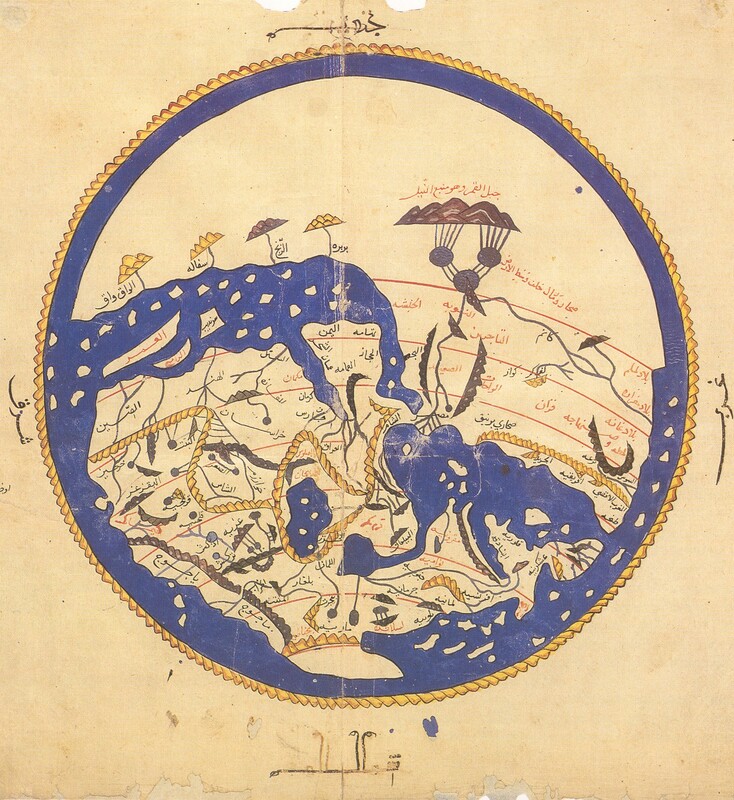 Within the Muslim scholarship there exists a conundrum. The prophet Mohammad (S.A.W) gave us several signs of the end of times and yet it there is an air of caution that surrounds the discussion of this subject openly. This is because of the belief that no one but Allah knows about the hour. Imran Hosein successfully squared that circle by pointing out that the “end of times” and the “end of history” are two separate events. The end of times refers to the doomsday or the day of judgement while the end of history will be the eventual triumph of good over evil. The hadeeth of Tamim Al Dari is extraordinary not only because it is extensive but also because of its prophetic content. For the sake of brevity it is not copied here in, but can be accessed easily through the internet. Imran Hosein analyzes that the essence of Dajjal or the anti Christ has two facets. One is in an embodiment of a person while the other is a system. He also points out that through Pax Britannica, Dajjal remained confined in Britain till it shifted to USA in Pax Americana and will eventually emerge in Israel when it becomes the ruling state of the world (Pax Judaica). A further hadeeth (Muslim #7015, Narrated An-Nawwas ibn Sam’an) in which the prophet ( S.A.W) was asked by the companions about the time that Dajjal will stay on earth. He replied “For forty days, one day like a year, one day like a month, one day like a week, and the rest of the days will be like your days. In Imran Hosein’s interpretation of this hadeeth, he insinuates that the modern era is the era of the week. This is due to events of global significance taking place in much shorter span of time than previously. Such cataclysmic events would only accelerate in the near future. In 2003, Sheikh Imran gave a remarkably farsighted lecture in which he predicted what is now known as the “Arab spring”. This lecture is can be accessed here. Using Islamic Eschatology he was able to predict events seven years ahead of their time. He went further to inform that this “Arab Spring” would not yield anything but chaos. And all across the Arab world, there will emerge headless states (exactly as being witnessed today). This he said, would cause significant unrest in the region and will provide Israel with excuses for pre-emptive action. For almost a decade now, Imran Hosein has been working on the idea of a Muslim Village. It has been informed by scriptures that the influence of Dajjal (Anti-Christ) will be the highest in large cities and towns. Remote villages will remain relatively untouched. This can be seen in today’s world through the contrasting lifestyles enjoyed in the urban and rural areas. Massive urbanization over time has resulted in sedentary lifestyles for growing portion of the population. The Muslim village, Imran Hosein stipulates, will be free of the forces that define and govern the modern society. Men will be men and not a silly excuse of a man. The Quran will be the defining constitution. There wouldn’t be any centralization of power or economy. This idea has sparked great interest in several green groups and environmental enthusiasts who are working towards off-grid communities. Many of his lectures on Muslim village can again be accessed through YouTube. There is a famous hadeeth in which Hazarat Bilal (R.A) was told by the prophet SAW that his trade for low quality dates in exchange for a smaller number of high quality dates was the essence of Riba (usury). No scholar other than Imran Hosein in the last 50 years has taken this hadeeth more seriously. He has concluded that money can be only exchanged with equivalent amount of money but goods other than money can be traded in different amounts. It is a fact that there were no voices of discontent from the Muslim world when banks uncoupled gold from the currency and there was again silence when Bretton Woods agreement was being signed. In today’s world interest on loan, has given rise to the notion that time is money. Imran Hosein has denounced this linkage using the Quran and Sunnah. For it is axiomatic that an economy that is based on Riba, will be one in which the rich will get richer and the poor, will get poorer. Riba and charity he explains are the opposites of each other and any business that eliminates the possibility of a loss is nothing but Riba. So all risk free investments are prohibited. Even more relevant in today’s age is the hadeeth which prophesizes the era when no one will be able to escape Riba (usury) and even those who try cannot escape its dust (fallout). We are living in that era as the currency released by central banks and in particular Federal Reserve is issued on interest. Using this Hadeeth Imran Hosein has articulated the concept of money in Islam. Contrary to the popular belief, not only gold and silver but other commodities can also be used as currency provided they have an intrinsic value and a longer shelf life. Dates, wheat, barley and salt therefore can also be used as currency. It is unfortunate but among many Muslim scholars today, the Sea of Galilee does not occupy their active inquisitiveness. Imran Hosein on the other hand is not only aware of the prophecy but has constantly reminded his listeners to keep track of the depths of water of this historic lake. The drying up of the lake, according to a tradition will usher in the release of Dajjal in the open. A more in-depth article on Imran Hosein’s explanation of this event can be accessed here. Imran Hosein unlike other Muslims scholars refutes the idea that Zulqarnain, who is mentioned in the Quran, is Alexander of Macedon. He is of the opinion that Gog and Magog who were confined by Zulqarnain may have been the Khazars. The great barrier that was built to besiege Gog and Magog according to him lies in the Caucasus Mountains. This barrier has already been breached, as has been confirmed by an expedition that was sent by by the khalifa (caliph) in 50 hijri. This has been explored in great detail in the Khazar Conspiracy article that was published earlier. Imran Hosein has emphasized several times through his interactions that any verse in the Quran should be never treated in isolation. It is because of this grave mistake that in the modern era, the true understanding of the sacred text among many people is diminishing. Unfortunately many large schools of thought have also fallen victim to this atomistic methodology which can completely alter the derived meaning. One example of this is verse 51 of Surah Al Maeda. In sheikh Hosein’s explanation of this ayaat he asserts that Quran is not prohibiting Jews and Christians to be taken as patrons, but it is rather instructing not to form an alliance with the Zionists (Note that Zionism is a platform that unites certain Christian and Judaic factions) . In his most recent and most startling analysis, Imran Hosein has pointed out that the Rome mentioned in the Quran is the modern day Russia. He has based this on the study of Islamic Eschatology. The home of eastern orthodox Christianity is present day Russia. After the fall of USSR, Putin’s government has surrounded itself with the clergy and wants to present itself as the Bastian of morality in the world. He has further asserted that if Muslims are to triumph in the Malhama (Armageddon) than they should forge an alliance with Russia. This is the only way they can survive the onslaught of Gog and Magog and Anti-Christ. Please feel free share this article using the buttons below. Previous articleWhat Pakistan must do to weed out terrorism? vast expanse of knowledge which sheikh IMRAN seems to command is very insightful .It wld be very interesting to know what sheikh IMRAN has to comment on the current chaos gripping the Muslim lansscape .the sorry state of affairs we are witnessing now is this something we need to accept as part of predestination ? Are we not to take stock of the wrongs afflicting us? His policy is no confrontation. Sit out the storm.